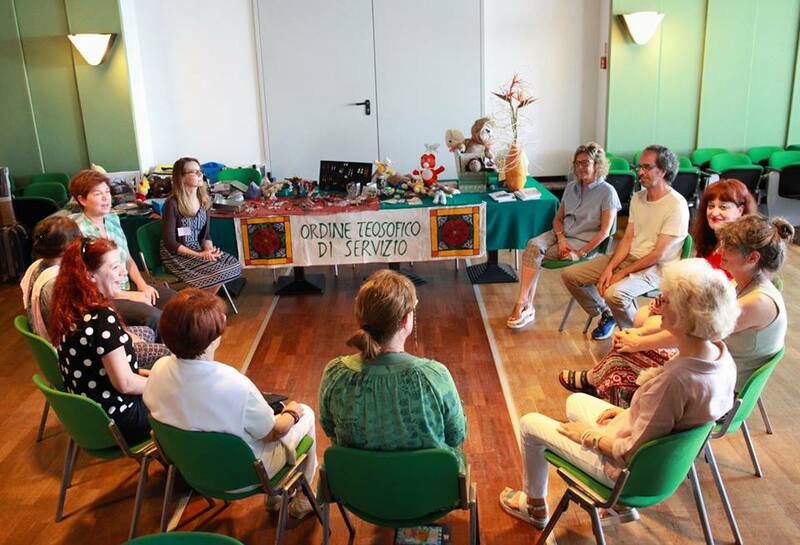 The Theosophical Order of Service in Italy works in close cooperation with the Italian Theosophical Society, which appreciates and supports its endeavours. Both organizations believe that no Theosophical path is complete without Service to Humankind, in a spirit of Universal Brotherhood. The Italian TOS provides financial support for a number of educational projects, such as Qandeel Home Schools in Karachi (Pakistan), Golden Link College in the Philippines, the Olcott School and Social Welfare Centre in Adyar (Chennai), the House of Children in Muttom (India), which was built with the help of donations from the TOS, and the Little Flower Convent in Chennai. The Italian TOS also backs a number of schemes involving international emergencies, such as a project to help Syrian refugees by supporting a paediatric clinic in the Bab Al Salam camp (20 km from Aleppo, Syria), the "Bread" project (distributing bread to widows in difficulty in Aleppo, Syria) and the "Coal" project (supplying coal in January, February and March to 30 families with disability issues) in the Turkish city of Kilis, near the border with Syria. In addition, members of the TOS in Italy support local charities and help to raise funds for a range of associated projects by making products for charity bazaars.